Celebrating Pakistan’s Resolution Day, thousands of Lahoris participated in the annual Lahore Marathon 2019. The marathon covered a 10 kilometre route and was aimed at promoting a softer image of the country, through engagement of citizens in healthy activities. With the recent on-going tensions in the region, Lahore Marathon is an initiative of the District Administration Lahore aimed at delivering a message of peace on Pakistan’s Republic Day. The Marathon invited citizens of all ages and gender to Run for Peace, symbolising a communal petition of peace and harmony globally. Citizens competed in three general categories; Men/Athletes, Women/Children and Senior Citizens. In each category, winners were given cash prizes and awarded gold, silver and bronze medals by the chief guests Mrs Sarwar, Pakistan Tehreek-i-Insaf Secretary Ejaz Chaudhary and Lahore Deputy Commissioner (DC) Saleha Saeed. Winners from each category were Nosherwan Ashiq, M Afzal and Subhan Ashiq. Rabia, Farah and Sarah won in the women’s category and Khalid Ikram won in senior citizens category. “Our efforts intend to broadcast a communal message from Pakistanis to the entire global community that Pakistan is a peace-loving nation who speaks a language of harmony and tolerance while simultaneously rejects every form of violence,” Lahore DC Saleha Saeed said. “It’s an iconic decision to commence the march on Pakistan Day while simultaneously sending out a powerful message that a true Pakistani patriot is an advocate of peace,” United Snacks Marketing Director Shahzad Khalid said. Participants were facilitated with hydration points and aid stations throughout the route. The road traffic was also restricted throughout the duration of the competition on all running routes with further assistance from traffic and local officers, in accordance with legislation. While ensuring a positive image for the city and the department, the project also provided entertainment for the public. Acclaimed Bangra band Sahara UK performed live on the closing ceremony at Alhamra Arts Council. The marathon covered a total route of 10km kicking off from Gaddafi Stadium Roundabout and progressing towards Hafeez Kardar Road, Liberty Roundabout, Main Boulevard, U-Turn from Jail Road Intersection, Main Boulevard, U-Turn from under Kalma Chowk Bridge, Liberty Roundabout with eventually concluding at the Alhamra Arts Council Gaddafi. 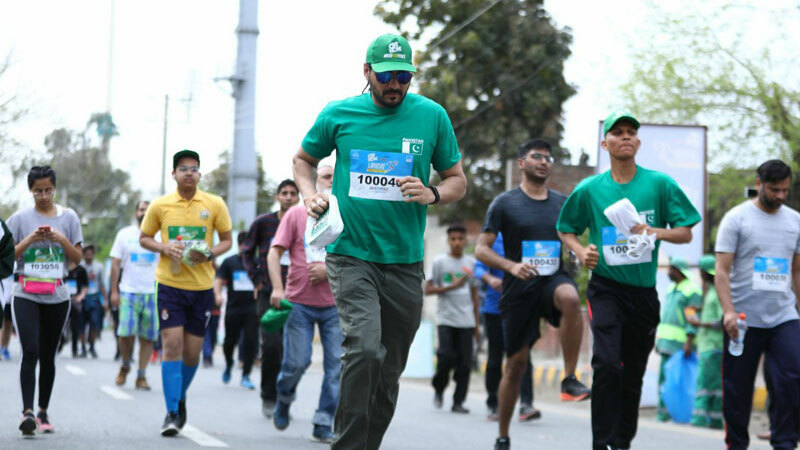 The Lahore Marathon 2019 was organised by Dreamweaver Production in partnership with the government of Punjab. The organisers intended to send out a call for peace on the Republic Day of Pakistan to promote a positive and peaceful image of the country around the globe through engaging citizens in fitness activities and a healthy lifestyle.